Health Secretary Jeremy Hunt is meeting social media giants, including Facebook and Twitter, to challenge them on cyber-bullying. In tweets ahead of the discussions, he says some responsibility for rising rates of youth self-harm lies with social platforms. He says the industry must be "part of the solution" regarding young people's mental health. Social media companies have said they do prioritise user safety. Mr Hunt will be meeting representatives from the biggest providers of social media, including Facebook, Twitter, Google and Microsoft. Mr Hunt said: "Social media has become a fundamental part of our children's lives and while the internet provides amazing opportunities we cannot ignore the negative effect disturbing images and bullying are having on their mental health. "Now is the time to turn the tide on this abuse. I will be working closely with the top social media companies to ensure they can become the solution and not the problem." We should not'accept' cyber bullying as inevitable but STOP it - my message to social media giants when I meet them for roundtable tomorrow. If they can share statistics on how often cyber-bullying happens on their platforms, and what form it takes. If they have information on the number of underage users, and what can be done to prevent them accessing services. Whether it is possible to identify unhealthy online behaviour among teenagers. And take action to try to provide advice and support. A Facebook spokesperson said: "We want to make sure that everyone, including anyone affected by a mental health issue, has a good experience on Facebook and Instagram. "We look forward to working with ministers and others to make sure we do everything we can to protect people's wellbeing. "We have already introduced online tools such as Instagram's automated offensive comment filter and last month launched a new partnership between Facebook, Childnet International and The Diana Award, which is offering every UK secondary school the chance to have a young digital safety ambassador who can support their peers' safety and well-being." 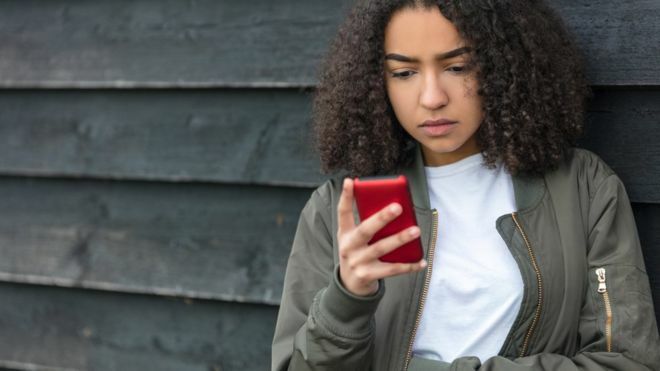 Instagram, which is owned by Facebook, has previously been rated as the worst social media platform when it comes to impact on young people's mental health, in a poll of people aged 14-24. Instagram responded by saying it provided tools and information on how to cope with bullying and warned users before they viewed certain content.